This article guides you through in-depth tips on how to prepare for job interviews and also outlines the steps to take to improve your interview performance and success. After you have written and submitted your resume and cover letter, the next step in the process is an interview or a series of interviews before securing a job. Preparing thoroughly for an interview helps you to overcome nervousness, increase your confidence and boost your ability to sell yourself effectively during an interview. This article walks you through what to do before, during and after a job interview. The information provided in this article is for informational purposes only and does not constitute legal advice. You can quickly skim all the 30 tips on the table of contents below and then click on any tip to read further details. Please enjoy reading. Thank you and I wish you the warmest best wishes and success in your interviews. This section covers what to do before an interview. This section is broken down into the following nine parts: pre-interview preparation and planning; researching a company before a job interview; dressing for interviews; preparing your professional references; resume preparation; conducting a dry run; interview role playing; pre-interview checklist/interview preparation checklist and steps in the job interview process. The first step in preparing for an interview is to begin by confirming your availability to attend the interview. When you receive a telephone call, voicemail or email with a request to attend an interview, ensure that you promptly respond and confirm that you can attend on the date and time requested or identify an alternative mutually convenient day or time. It is also helpful to request for directions on the best way to get to the company. Some companies usually have written down guides and directions that show the nearest bus stops, train stations and best and convenient routes for reaching their offices. These directions are normally given to interviewees when they are invited for an interview. The next step in pre-interview preparation is to review the job description again to refresh your memory. Think through how your skills, experience and qualifications match the job requirements. Think about specific examples, accomplishments and success stories that you can talk about for each of the major tasks outlined on the job listing. Take note of the interview essentials as well such as the interview date, time, position you are interviewing for, the name of the company, who you will be meeting, how long the interview is scheduled for and write down the exact location of the interview. Prepare items that you will carry with you such as a notepad, pen, bag or briefcase, bottled water, some money etc. Print a few copies of your resume to carry with you to an interview. You can also assemble a portfolio of special projects which you can show the interviewer as examples of your past accomplishments. In addition, prepare a list of good questions to ask during the interview. If you have been given any forms or pre-interview questionnaires to complete ahead of the interview, ensure that you have completed them. Look at the weather forecast to know what kind of weather to expect on the day of the interview. In case it will be raining or snowing, plan to leave earlier than normal and carry an umbrella. Prepare your interview clothes the night before the interview and polish your shoes too. Make sure that you get a good night’s sleep, groom yourself well, eat breakfast and head out early for the interview. Aim to arrive early at least 10 minutes before the interview. Before going for an interview always do your research on the company. Arm yourself with as much knowledge about the company as possible. The more details and information you know, the better prepared you will be. Begin your research by reviewing the company website. The first place to focus on is the ‘about us’ page. This is where companies typically outline their mission, vision, history and what they do. Find out the company’s products or services, leadership team, CEO’s name, number of employees, company values, how long the company has been in business, office locations and location of headquarters. If available, read the company’s latest annual and financial reports. Take a look as well on the company’s social media profiles and professional online profiles. Make use of search engines to look for information about the company including news, product launches, mergers, acquisitions, layoffs etc. Other areas to research on are online reviews about the company, press releases, company videos, key customers, competitors and investors. Read as many company blogs as you possibly can and watch company videos to get first-hand insights about the organization. Additionally, learn some information about the interviewers, immediate supervisor and your predecessor. Aim to stand out and look your very best during interviews by dressing in well-ironed, smart and clean clothes. You can make a strong first impression by putting on professional, comfortable and well-fitting attire. Highly polished shoes, minimal accessories, neatly combed hair and being well-groomed complements the overall package and presentation. It is better to be overdressed than under-dressed for an interview. Ensure that you try out your interview clothes prior to an interview to see how they look and fit and if needed you can make any adjustments or choose another outfit ahead of time. Prepare a list of at least three professional references. Write down the references on a document with your name and contact details at the top. Include the names of the references, their job title or position, company name and contact details such as telephone number or email address. You should reach out to your references in advance to let them know that you are interviewing for a specific position or positions. This helps your references to be on the lookout in case they are contacted to provide feedback about you. By alerting them, it likewise helps your references to mentally think through and prepare what they are going to say. Giving your references a copy of your updated resume is a good practice. It is similarly courteous to thank your references after you have gotten a job offer. Review your resume one more time prior to an interview to familiarize and refresh yourself with all its contents. Think through interview questions and answers then think of examples, stories and accomplishments that you can provide to support your answers. In addition, print a few copies of your resume to carry with you during the interview. It is also a good idea to read through your cover letter one more time prior to an interview to refresh your memory on what you had written. If you have a professional online profile ensure that it is updated and its contents are consistent with your resume. What is the location of the interview? How long will it take you to get there? What are the best routes for arriving at your destination? Whenever possible, it is a good idea to conduct a dry or trial run to the interview location. This is especially important if the interview will be held at a location that is unfamiliar or somewhere you have never visited before. You wouldn’t want to get lost finding the location on the day of the interview. A dry run entails taking a trip or visit to the interview venue. Important things to note and observe include: how long it took to arrive at the destination, the exact location of the office, some landmarks to take note of such as a building, a road etc. and where to park your car. Write down the name or names of who you will be meeting with. Additionally, write down the telephone number of someone in the company such as the Human Resources Manager, Hiring Manager or front desk so that you can call and alert someone in case you are running late on the day of your interview due to an emergency on your route. In cases where it is not possible to do an actual dry run, the next best option is to do a virtual dry run. This consists of viewing an online map of the route that you would take to get to the interview location. Take special interest in observing the destination. Look at exactly where the company is located and its surroundings. Take note of landmarks and special areas of interest to guide you as you navigate and print a back-up copy of the directions. If you are feeling nervous about an interview, you can do interview role playing to help you prepare for the interview and boost your confidence. Ask someone who you trust and are comfortable with to act as an interviewer then they should ask you interview questions. During the interview simulation, provide good and well thought out answers just the same way you would do if it were a real interview. A good friend should be able to listen attentively to your answers and provide feedback, guidance and encouragement based on your answers, your delivery and nonverbal communication. You can also work together on improving your nonverbal communication such as practicing a strong handshake, maintaining eye contact, proper posture, portraying confidence, limited use of hand gestures, voice projection and giving a genuine smile. An interview preparation checklist will help to ensure that you have taken care of important items before you head out for an interview. Have I confirmed my availability for the interview? Do I know what type of interview I will be attending? Have I written down the interview location? Have I figured out how I will go to the interview? How long will it take to get to the interview location? Have I prepared my interview attire? Have I reviewed the job description again? Have I reviewed my resume one more time? Have I printed extra copies of my resume? Have I prepared a notepad, pen and briefcase or bag to carry? Have I written down a few questions to ask? Have I thought about how to answer interview questions? Have I done research about the company and interviewers? Have I given my references a heads up that I am interviewing for a job? Is my professional online profile updated and does it match the contents of my resume? Job interviews normally proceed in steps, rounds or stages, whereby when you perform well in one step you are then invited to proceed to the next round until a hiring decision is made. This is usually a telephone interview that aims to narrow down the pool of candidates. In this interview you will be assessed against the major criteria, requirements and qualifications for doing the job. This is where you would be interviewed by many people including co-workers, representatives from other departments, other managers or directors and even senior executives. You could also be required to do a work related exercise or test at this stage. The information gathered from the first to third round is usually enough to make most hiring decisions. However, for high level or senior positions, there could be a need for an additional in depth interview that could also entail making presentations. This section covers resources for during an interview. This section is broken down into the following ten parts: ways to make a good first impression during an interview; making an elevator pitch; types of interviewers; common interview questions; behavioral interview questions; types of interviews; questions to ask at a job interview; interview mistakes/interview don’ts; interview tips for success/interview do’s and items that are evaluated during job interviews. Be knowledgeable about the job and the company. Write down a few good notes and refer to them. Thank the interviewers at the end of the interview. Practice making a brief introduction in less than two minutes to summarize who you are, what you have done and what benefits you can bring to the company. Elements of a good elevator pitch include your name, the position or positions that you have held in the past, your key skills and qualifications, your major accomplishments at work and what makes you stand out from the competition. A good pitch should sound enthusiastic, natural and delivered at a good pace. It should not sound rehearsed. To nail down your pitch, write down the important points that you wish to convey then practice speaking your key points. Rehearsing your elevator pitch helps you to tweak and improve it and increases your confidence when you do the actual delivery. During the course of interviewing for a job you will likely meet your fair share of different types of interviewers. Interviewers have different styles, approaches and personalities. It is important to be flexible and quickly adapt to different interviewers and provide good answers to improve your chances of success. Regardless of which type of interviewer you meet, do not let your guard down. Be focused, be respectful and remember that your primary goal is to sell yourself effectively to get the job. On the other hand, it is also quite possible that the different types of interviewer personalities you meet in an organization could be a test to throw you off your game; to see how you respond and adapt under different or challenging circumstances. This type of interviewer makes you feel comfortable. They would be calm, relaxed and can even engage you in informal chit chat before and even during the interview. The interviewer could offer encouragement and positive feedback during the interview. The interview could feel informal and more like a conversation. The key thing to remember is to speak professionally at all times and being careful not to ramble on revealing more information than necessary. This type of interviewer would usually have a list of questions that they would ask one after the other. They would stick to a predetermined script with a sense of urgency in ensuring that they ask the same set of questions to all interviewees. Get ready to give well thought-out answers in rapid succession. Sometimes you might need to take a moment to think about your answer and this is ok.
Stay calm even when being peppered with questions and respond gracefully, respectfully and as best as you can. This type of interviewer is unscripted and their interview style is off-the-cuff. They would run the interview by beginning with a question or a set of questions and probe into different directions based on your answers and the specific requirements of the job description. In this situation one question or answer could lead to more related questions and answers. Be ready for in-depth probing and be comfortable in providing detailed and specific responses. This type of interviewer would perhaps be reading your resume for the first time during the actual interview or maybe they just read your resume a few minutes before the interview began. Get ready to pleasantly explain and answer many questions based on your resume. Even though the interviewer might appear unprepared, do not let this distract you or let your guard down. Be friendly, positive and respectful at all times and provide good answers. These are questions that are likely to be asked during many interviews. The questions help the interviewer to understand and learn more about you. Take time to think about your answers to the questions before the interview. You don’t need to repeat your answers word for word. What is of utmost importance is grasping your key points and being able to state, discuss or elaborate on them in various ways. How would your former supervisor describe you? Behavioral questions seek to probe deeper into how you perform your responsibilities under specific or different work conditions. Your answers to behavioral questions will give the interviewer insight into your logical thinking process. Your answers would typically walk the interviewer through critical processes such as how you make decisions, how you choose between alternatives, how you solve problems and how you accomplish results. Give examples and stories highlighting situations or challenges that you have faced at work. Explain what you did to resolve a specific challenge and then outline the results or what happened next. 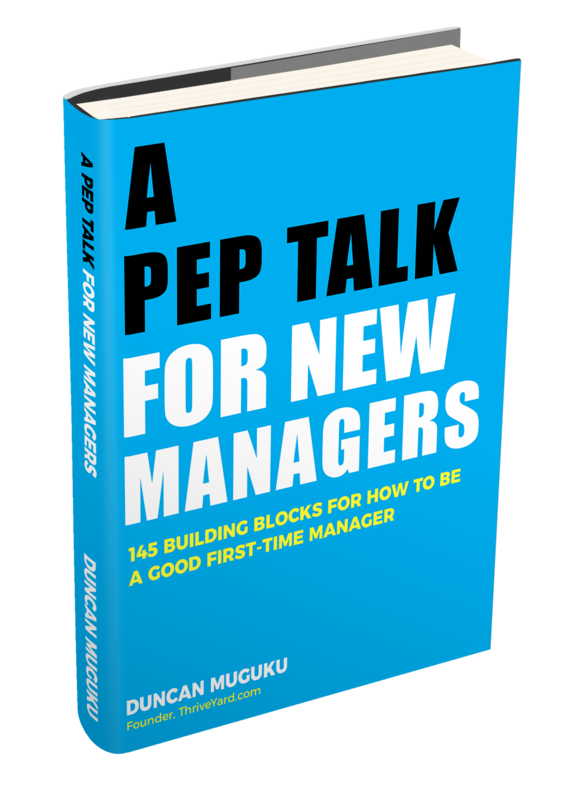 Provide real life situations such as how you handled conflict between yourself and a coworker, how you resolved a disagreement or misunderstanding with your boss or how you dealt with an angry customer and resolved the issue. Other examples could include how you worked with team members on a difficult assignment and how you handled multiple competing priorities, uncertainties and last minute changes to plans and processes. Describe a situation where you faced a difficult challenge at work? Tell me about a time when you had to work under a tight deadline. Describe a major failure that you have faced at work and what you learnt from it. Tell me about your biggest accomplishment at work. Give an example of a time when you had to handle change at work. Describe a time when you faced conflict at work and explain how you resolved it. Tell me about a time when disagreed with co-worker. Describe a time when you proposed an idea to a team. How did you go about it? Tell me about a major goal that you set for yourself at work. Interviews can be held in different formats such as telephone interview, one-on-one interview, panel interview, round robin interview, video interview, lunch interview and interview exercises. Knowing the interview format ahead of time will help you to mentally prepare for the interview. A telephone interview is typically the first step in the interview process where companies conduct phone screens to identify qualified candidates. Your performance during a telephone interview is very critical because it usually determines whether you will proceed to the next stage in the interviewing process. Introduce yourself when you answer the telephone. Have relevant materials in front of you such as the job description, your resume, cover letter and a note pad. Ensure that your cellphone is fully charged. Talk in a location where there are no distractions or background noise. Strike a confident pose as you speak to help boost your confidence. Thank the interviewer at the end of the call and inquire about the next steps in the interview process. This is the most common type of interview where you are interviewed by one person such as the hiring manager, human resources manager or any other company representative. If you know the name of the interviewer beforehand, do research to learn more about them. Introduce yourself when you meet the interviewer. Offer a firm handshake and a smile. Put your bag or briefcase on the floor and not on the interview table or desk. Sit up straight and maintain good eye contact with the interviewer. At the end of the interview, ask the interviewer for a business card so that you can send a thank you note. During panel interviews, a candidate is interviewed by more than one interviewer. The interviewers can include the immediate supervisor for the position, a team member or coworker, a representative from another department, a human resources representative and even a senior leader could be present. Make good eye contact with each person on the panel. Remember the names of the interviewers and use their names occasionally during the interview. Have enthusiasm for the job. Prepare for additional probing based on your answers. Ask good questions and offer clarifications as needed. Request the interviewers for their business cards in order to send them thank you letters. In this type of interview, you will meet different people usually on the same day. You can either be positioned in a fixed location such as a conference room and then different individuals come to interview you one after another. Alternatively you can be taken round the company from one office to another to be interviewed by different staff members. Keep your cool and be patient because you will likely be asked the same questions over and over again by different people. Answer each question respectfully no matter how many times it has been asked. Keep your energy level up as you transition from one interview to the next. Introduce yourself with confidence and enthusiasm each time you meet a new interviewer. Ensure that your answers are consistent because the interviewing team will likely compare notes and observations when evaluating candidates or making a hiring decision. During a virtual, remote or web-based video interview, it is important to note that all the usual interview rules apply. You should not only prepare to give good answers but also take time to prepare and test your equipment ahead of time including your webcam, sound and internet connection. Make sure that the video interview is in a quiet room that is free from distractions. Ensure the room is well lit. Remove any clutter behind the place where you will be doing the video. Look straight at the camera to maintain good eye contact with the interviewer. Have a copy of your resume, the job description and your interview questions in front of you. Sometimes an interview could be held over lunch. This interview could be testing how you behave in social settings. Lunch interviews can be challenging because you need to talk and eat at the same time. Read about the restaurant, the types of meals offered and its location. Be pleasant to the servers. Order something inexpensive that is easy to eat. Eat small pieces or portions at a time to enable you talk in between bites and answer questions. Thank the interviewer at the end of the interview and thank them as well for the meal. Interview tests can be used to measure your level of skills, knowledge, personality, working style etc. Sometimes the tests could be timed where you have a specific amount of time to complete the test or on the other hand you could be evaluated based on how fast and accurately you completed the test, exercise or activity. Conduct research about the type of test you can expect to do for the type of job you have applied. Look for sample interview tests online and practice doing them such as psychometric, personality and aptitude tests. Write down a list of questions that you would like to ask during a job interview. The questions should be aimed at giving you more insight regarding the organization, the job itself, the people working there, your future boss and the company. It is a good idea to prepare at least ten questions beforehand because chances are that some of the questions you had prepared might be addressed during the course of an interview. In case this happens, you would still have some back up questions to ask. Aim to ask at least 3 to 5 good questions during an interview. The questions can range from deeper insights about the job, to learning more about the immediate manager and the department, to company culture and overall big picture questions about the organization. When you go for an interview, carry a note pad with you where you have written down your questions and don’t be afraid to look at it to refresh your memory on what your questions are. However, avoid reading out a question verbatim or word for word. Try to internalize your questions so that you can ask them naturally and in a thoughtful way. You do not want to sound rehearsed. Feel free to rephrase and paraphrase your questions as you see fit. Your research and questions should be able to point out red flags such as is the job a “revolving door?” Do people get hired and keep leaving that position after a short period of time? Keep in mind that you are also interviewing the company to assess whether it is a good fit for you. Is this somewhere you would enjoy working or would it be a source of stress for you? Would you enjoy working for your future boss? What signals are you picking up during the interview from the tone and behavior of the interviewers? Be alert and listen to what your gut instinct is telling you. What are the most important skills for someone to succeed in this position? What does a typical day look like for this job? Is this a new job or a replacement? What is the biggest challenge that someone would face in this job? How and when is performance evaluated for this position? What are the top priorities to be achieved within the first 90 days? What training and development programs or opportunities are available for this job? How does this position interact with other team members and other departments? What are the possible or typical career growth opportunities for this job? How does this position contribute towards the overall success of the company? What is the management style of the immediate supervisor? What are the most important things that you assess during employee performance evaluations? What do you enjoy the most about working in this company? How long have you worked in this company and what attracted you to this company? What is your proudest project or accomplishment that you have done for the company? What have been the company’s biggest achievements in the last few years? What are the biggest challenges facing this company? What are the main goals for the company over the next 5 years? Is there any additional information or clarification that I can provide? What is the timeline for filling this position? Not doing research about the company. Talking negatively about former bosses and coworkers. Arriving late for an interview. Not dressing properly for an interview. Providing incomplete, unclear or irrelevant answers. Giving cliché or generic responses to interview questions. Poor body language such as poor posture, no eye contact and weak handshake. Dominating the interview or talking too much. Losing your temper, arrogance, getting annoyed or being disrespectful. Cell phone ringing during an interview. Putting on too much perfume or cologne – it can be overpowering, overwhelming and distracting. Arrive at least ten minutes early. Wear appropriate, smart and professional clothes. Carry a few copies of your resume. Do thorough research prior to the interview. Switch off your phone during the interview or put it on vibrate. Listen carefully to questions being asked. Ask good, insightful and well thought out questions. Show genuine interest and enthusiasm. Practice good body language such as sitting up straight, leaning forward, subtly mirroring the interviewer and nodding your head. Give clear, specific and truthful answers. Close the interview by politely asking for the job. Thank the interviewer at the end of the interview. Send a thank you letter to the interviewer. During job interviews, the interviewers usually have evaluation forms, either electronic or hard-copies, where they note down key items or scores. Alternatively they could be taking down a few notes or on the other extreme they would simply commit everything to memory as they ask you questions and listen to your answers. In all these cases, the interviewer is assessing you on a number of variables or items to help them in the hiring decision. How you score on these items can increase or decrease your chances of being hired or being viewed favorably by employers. What is your level of interest in the job? How much do you want the job? Demonstrate your passion and eagerness for the job. Your enthusiasm will be evident through how you speak, your tone of voice, the excitement as you talk, and your overall nonverbal or body language demeanor including smiling, attentive listening, facial expressions, good eye contact, leaning forward, nodding in agreement etc. You can show your enthusiasm by saying why you like the job, what aspects attracted you to apply for the job, what benefits and ideas you can bring to the job, why you are interested in the company and by asking good questions. Will you fit in well within the organization? Do you exhibit traits that are similar to other staff who have succeeded in the company? What did you like most about working in your previous job? The recruiter will be trying to determine the kind of work environment where you have previously succeeded in and compare this with the company’s work environment. Companies have different work environments and organizational values and cultures. Demonstrate your organizational fit by giving examples of your past accomplishments, level of interaction with team members and other departments, interaction with customers, types of problems and challenges that you faced and resolved and how you put your skills and knowledge into use to benefit the company. Do you have the necessary skills to do the job successfully? Give detailed examples that demonstrate you possess the required skills to perform the job well. Examples of skills that are assessed during interviews include communication skills, problem solving ability, customer service orientation, leadership skills, decision making and ability to take initiative. Are you able to work well with others? How have you worked collaboratively in the past? What has been your role in supporting or leading a team? The interviewer would be evaluating your teamwork skills and how you cooperate with others. Give examples of projects where you worked with others, specify what your role was, elaborate on your contributions and ideas and highlight how you helped others in the team such as by building upon ideas proposed by others. In today’s environment where there is constant change, the ability to be flexible is important. How well do you adapt to change? How do you manage change, uncertainties or unforeseen circumstances and deadlines? How do you plan for and anticipate change? Demonstrate examples of situations where you have dealt with change and uncertainty by highlighting what the situation was, how you dealt with the challenge and the outcome or results. Are you able to do this job? Have you done a similar job before? What were your accomplishments in previous roles? What is your knowledge and understanding about the job? What is your knowledge of the company? What are your educational and training qualifications to do the job? How do your qualifications position you for success in this job? Demonstrate that you have a good understanding of the job requirements and what it takes to succeed in the role. Give examples of your past achievements and outline the contributions that you can bring to the new role. Highlight your work experience and your educational qualifications. Point out any additional training that you have undertaken to improve your skills and knowledge. Job candidates are also evaluated or assessed based on the overall, general or broad impression that the interviewer forms about an interviewee. Factors that can contribute to the overall impression include your confidence, punctuality, positive attitude, knowledge, passion, quality of answers, types of questions asked, dressing style, body language, attentiveness, gratitude, integrity and level of self-awareness. 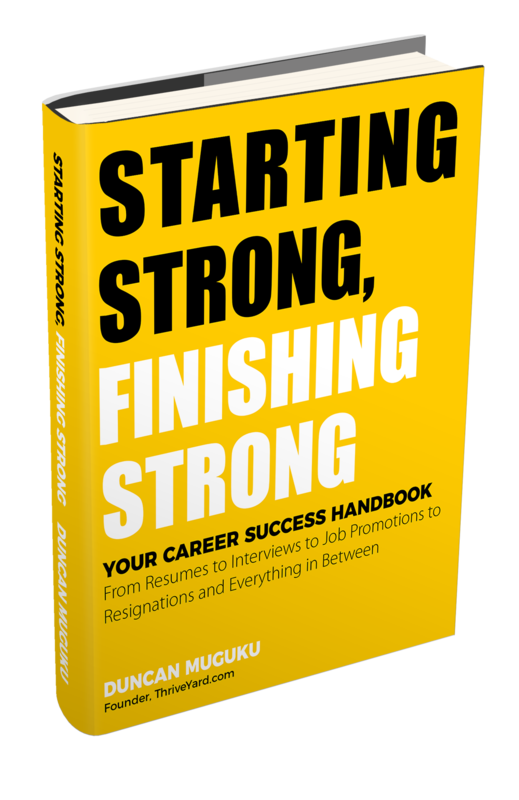 This section covers resources for after the interview. This section is broken down into the following eleven parts: thank you letters/emails after an interview and a sample; following up after a job interview; reflecting on your interview performance and lessons learned; preparing for second, third or follow-up job interviews; reasons why you were not hired; sending a letter to an employer after a job rejection; negotiating salary; background search and reference checks; resigning from your job gracefully; declining a job offer and accepting a job offer and elements of a job offer letter. At the end of an interview, thank everyone who interviewed you and request them for their business cards or email addresses. Ensure that you send a thank you letter or email within a few hours after attending the interview. It is better to send an email because it is faster. Your message should be brief. Limit your email or letter to only two to three paragraphs. Begin the first paragraph by genuinely thanking the interviewer for taking time to interview you and learn more about you. Also mention the position and the company name. On the second paragraph, express your excitement for the job and briefly outline what makes you exceptionally qualified for the position. You can also point out the key contributions that you will bring to the new position. On the last paragraph, close your message by highlighting that you are eagerly looking forward to the next interview, the next steps in the interview process or a hiring decision. Ensure that you proofread and edit your email before sending it. In case you are sending thank you letters to many interviewers, you can use the same language for the letters but if you can customize it a little bit for each person, it would have more impact. When sending a thank you email, simply write the subject, salutation and body of the email – there is no need to write the date and company address. Here is an example of a simple thank you letter or email. Thank you for a great interview. It was a pleasure meeting you. I appreciated the time that you took to learn more about me and how I can contribute to the XYZ role at company ABC. My skills and experience in doing XYZ make me a strong candidate and I am eager to bring my passion for stellar results to this position. Thank you again and I look forward to the next step in the interview process. At a minimum, you should always immediately follow up any job interview with a brief thank you letter. This also includes a phone interview because that is the most crucial stage which determines whether you will proceed to an in-person interview. The next question is: Should you continue following up after a job interview when you have already sent a thank you letter? To continue following up or not follow up after an interview is a contentious subject. On one hand, an argument can be made against following up and instead patiently wait and trust in the interview process. On the other hand, an argument can likewise be made regarding gently nudging the hiring manager and making them aware that you are still interested in the position. Overall, I believe in trusting in the interview process and waiting. When you go for an interview and you have prepared as best as you can and given your strongest performance, the next step is to patiently allow the company to follow their own internal interviewing process. If you have truly made a great impression and demonstrated the value that you can offer, chances are that the company will get back to you on their own timeline. At the same time there could be situations where a company has given you a timeline regarding a specific period within which you would have heard from them. When this period expires, you could choose to wait for a few more days and then send a gentle follow up email. Constantly following up and checking on the interview or hiring status can annoy a recruiter or hiring manager. It is best to exercise patience and self-restraint and at the same continue to actively look for a job until such a time when you have a signed offer letter. The following is a sample follow up message that gently conveys your continued interest in the position as well as seeking information on the hiring status. I believe that you are doing well. I interviewed a few weeks ago for the XYZ position and was hoping for any update. I am still very much interested in this position. Please feel free to reach out to me if you need any additional information or clarification. After attending an interview, always take some time to personally reflect, assess and evaluate how the interview went. Likewise review any notes that you took during the interview. 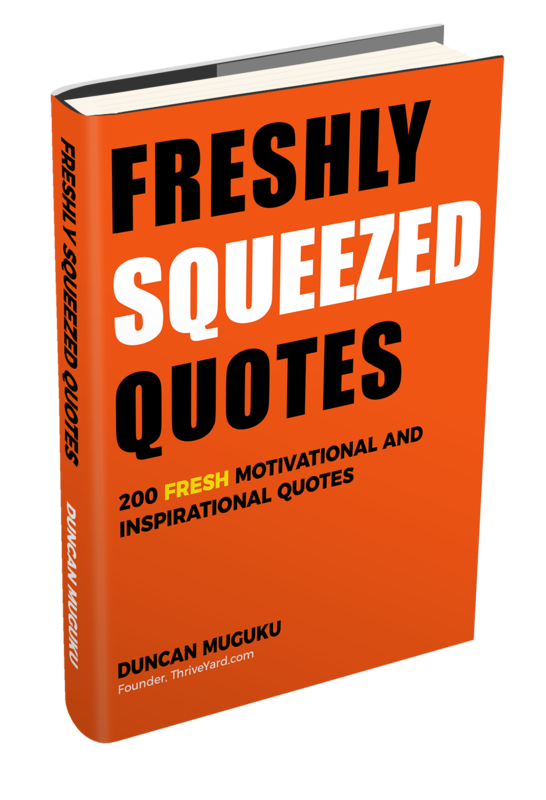 Think through the questions that were asked and the answers that you gave. Did you like the interview and the interviewers? Do you see yourself working there? Was the interview long or short? Was the interviewer engaged and interested in your answers? What was the interviewer’s body language? Did the interviewer probe your answers to learn more? Did you give clear, relevant and detailed answers? Which areas did you stumble or struggle with during the interview? How were your questions answered? Did you ask about the next steps and what was the response? Were you asked questions about your availability such as how soon can you start or when are you available? Did you learn new things or get deeper insights about the job or the company? If you learnt new information about the job responsibilities, does this impact your ability to satisfactorily perform the job? Your answers from your self-reflection exercise should be able to guide you as you as you prepare for the next steps in the interview process. Look for lessons learned and aim to improve your performance each time you attend an interview. Getting invited for a second interview is a sign that you did well in the first interview and the company would like to learn more about you. Second and subsequent interviews are usually more comprehensive, detailed and exhaustive than first interviews. They are also likely to last a longer period. It is possible that you could be interviewed by more than one interviewer either in a panel or group interview or you could meet one interviewer at a time. Some second or third interviews also involve tests where you could be given a specific test, task or exercise to complete within a certain amount of time. Thorough preparation for a second interview is important. The competition in the second and subsequent rounds is normally stiff and the caliber of candidates is much higher in these rounds. You need to work extra hard to stand out from the competition. Begin by confirming your availability to attend the interview. Find out the format of the interview and how long the interview will take. In addition, note down the exact location where the interview will be held. Look at an online map to identify how you will get to the interview venue as well as how long your trip will take. Prepare a smart and professional outfit for the interview. Refresh your memory by reading your notes from the first interview. Review the job description, your cover letter and resume. Read about the company again. Moreover, if you know the names of the interviewers, conduct research online to learn more about them. 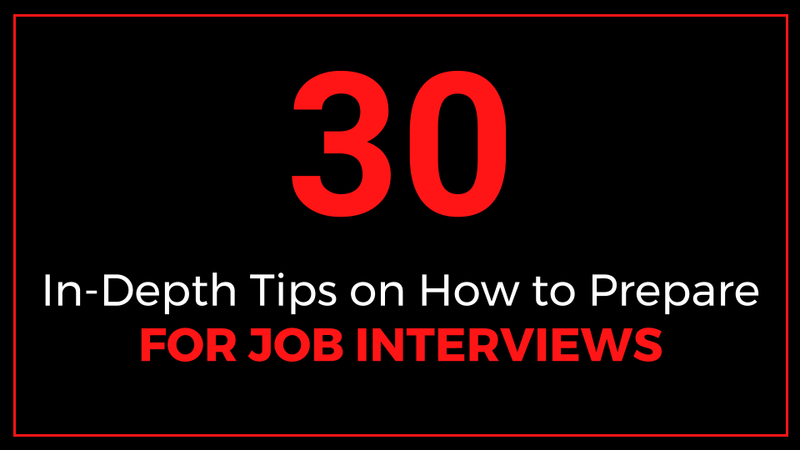 Similarly, prepare a list of good questions to ask during the interview. During the second or follow-up interview, you are likely to be interviewed by a variety of people such as the immediate supervisor for the position, coworkers or team members, representatives from other departments and even senior executives. The interviewers will want to know more about you, what you have done previously, your accomplishments and what contributions you can bring to the role. It is a good idea to carry a portfolio or samples of work or projects that you have done so that you can showcase them during the interview. You are also likely to be asked the same questions asked during the first or previous interviews. At the same time you could also be asked different and much harder questions that require in-depth answers. When the interview ends request the interviewers for either their business cards or email addresses so that you can send a note of appreciation. Within a few hours after the second or third interview, send a thank you email to the interviewers to show appreciation for being invited for the interview and also to restate your enthusiasm and interest in getting the job. Thank you for the opportunity to do a second interview for the XYZ position at Company ABC. It was a pleasure talking with you and your colleagues and learning more about the position and your company. I really look forward to contributing my skills and experience to this position and I look forward to hearing about your decision. After you have given your all and even given a superstar performance during the interview process, it is very disheartening to learn that you did not get the job. There are many reasons why an employer decides to hire one candidate and not another. Sometimes the hiring decision could be a difficult one where there a few strong and equally qualified candidates which could make it much harder to decide. In other cases it could be an easy decision where one interviewee rises above the competition. One of the most discomforting and disheartening scenarios is when you never hear back again from the company. Lack of passion and enthusiasm for the job. Providing inadequate answers during interviews. Not possessing the required qualifications. Not a good fit for the company. Inadequate knowledge about the job, the job requirements and the company. The competition is too stiff with many highly qualified candidates to choose from. Not making a good impression during the interview. Salary requirements exceeding the budgeted salary for the position. Job references do not have positive things to say. The company already has someone in mind for the job. The company decides not to hire anyone. One way to make a favorable impression or build a long term relationship with a company, employer or hiring manager, is to send a gracious letter or email thanking the company even after being notified that you did not get the job. Chances are that very few of the candidates who got a job rejection would go the extra step to send this letter. In your message sincerely mention that you were really looking forward to the job and working with the company and that even though you did not get the position, you still wish the company the very best in everything that they do. Point out as well that you look forward to interacting again in the future should a suitable position become available. There could be situations where the top candidate who gets the job offer might decide not to do the job after all, or they could get a better offer at another company or they could get a counteroffer at their former job and decide not to leave or they could start the job and decide to resign after a short while or any other possibilities. If any of these things happen, it is quite possible that you could be next in line to getting the job that you had hoped for. Thank you for letting me know about your decision to go with another candidate. I was really hoping and looking forward to getting the XYZ job. This job was a great fit for me and I was excited about the possibility of contributing my skills, knowledge and experience to your company. Although I am disappointed, I nonetheless wish you the very best and congratulate you on filling the XYZ position. I look forward to interacting again in the future should a suitable position become available. Whenever possible, it is a good idea to leave the salary discussion and negotiation towards the end of the interview process. This offers two primary benefits: firstly, it gives you a chance to get a better understanding of the actual job requirements and secondly, the employer, through the interview process, would have had a chance to learn the benefits and value that you can bring to the position. Before attending any interview, it is a good practice to do comprehensive salary research based on the job level that you are applying for coupled with the geographical location where the job is based and factoring in your level of experience. Online salary calculators will give you a good idea about average salary ranges. Look at online reviews and other resources to find out what the company typically pays for different job categories. Your salary research should guide you in making a reasonable offer that can be accepted by the company. Don’t short change yourself by making an offer that is too low or too high. You would typically have a specific salary number in mind which you would be comfortable accepting. Don’t shy away from negotiating for your desired salary. Keep in mind that most companies have a specific salary budget for open positions therefore there could be some negotiating wiggle room if you have not exceeded the top range of their budget. When proposing a salary range, keep in mind that the company would likely gravitate towards the lower end of your range therefore; ensure that you are comfortable with the bottom part of your proposed salary range. If you don’t get the exact salary amount that you were hoping for, explore the benefits offered by the company and see if you can negotiate for additional benefits. You can negotiate for a flexible schedule, telecommuting, bonuses, training and professional development, additional vacation, stock options, profit sharing, gym membership, transport allowance, parking allowance, retirement benefit matching and any other benefits. You could also negotiate for intangible benefits such as a revision of your job title to make it align with your long term career progression or advancement goals. You can also discuss about future schedules for raises, promotions and performance bonuses so that you have an idea of when you could expect to get these benefits in the future. When negotiating your salary, remember to briefly restate the value you will bring to the position and what you can do for the company. Before receiving a job offer or after receiving a contingent job offer, employers will typically conduct background checks. The checks aim to verify the accuracy of information provided during the job application and interviewing process. Employers will request your written consent before they conduct background checks. Failure to satisfactorily pass background checks can result in not receiving a job offer. The type of background investigation conducted depends on the type of job that you are applying for. For example if you applying for a financial or managerial position, a credit background check might be required whereas for non-financial or junior positions it might not be required. In addition, the more senior the position, the more rigorous the background checks would be. At a minimum, the items that are generally checked during employment background checks include professional reference checks, verification of past employment, verification of educational qualifications and employment eligibility. How you behave when you end a job is just as important as how you behave when you start a new job. It is very important to always leave a job professionally, the right way and on good terms. Strive to build bridges on your way out. When you resign gracefully, it helps to secure good references and leaves your boss and colleagues with a favorable impression about you. The key steps to follow when quitting include giving enough notice of your intention to resign, telling your boss first that you will be leaving before telling your co-workers, preparing a transition plan, preparing handover notes, helping out during the transition period, and working diligently until your last day of employment. Finally, ensure that you have a written and signed job offer before you submit a notice of resignation. There could be circumstances where despite receiving a job offer, you might decide not to accept the offer. Reasons for rejecting a job offer can include getting a better offer elsewhere, receiving a counter offer from your current employer, getting a promotion or a raise, being dissatisfied with the salary offered, having doubts about fitting in the company and the position not aligning with your career goals. Your letter declining a job offer should be as brief as possible. Start off your letter by expressing appreciation and gratitude for receiving the job offer. Clearly mention the exact position that you had been offered as well as the name of the company. It is courteous to briefly state the reason for declining the job offer but also ensure that you portray your reason in a positive way – for example, I have accepted a job offer at another company, I have decided to remain at my current position, the job does not fit with my career goals, the job is not a good fit for me at this moment etc. Send the letter or email as soon as you make a decision to decline a job offer. Thank you for extending me a job offer for a XYZ position at company ABC however, I have decided to accept a job offer at another company. I really appreciate the time that you took to interview me and learn more about my skills and qualifications. If you have received an offer letter after enduring through the interview process then congratulations are in order. Once a company has made a decision about the candidate to hire, the next step is to make an offer to the top candidate. The offer could initially be made verbally through a phone call or in person and then followed up with a written offer. Alternatively you could receive a written offer letter only. A job offer letter is negotiable. If there are elements in the offer letter that you are dissatisfied with, you can point them out to the company and negotiate for mutually acceptable terms. When you receive an offer letter, take time to carefully review it. Usually the company will provide a short window of time within which you are supposed to go through the offer letter and return back a signed copy. Signing, dating and submitting back an offer letter signifies your acceptance of the offer. The date the letter was written. The position or job title. The salary: the salary amount can be quoted in different formats such as an hourly rate, daily rate, weekly, bi weekly, monthly or annual amount. The frequency or how often the salary will be paid such as weekly, biweekly, monthly etc. The benefits offered such as medical, dental, vacation, sick days, holidays, retirement, bonuses, allowances etc. Work schedule or hours of work. Language stating how the work relationship can end or terminate. Who the position reports to. Unit, department or office where the job is located. The job description or a summary of the key roles and responsibilities. List of contingencies such as the offer being made contingent on passing background checks, specific tests, drug tests, satisfactory feedback from professional references etc. Signature of a person authorized to make the offer such as a Human Resources Manager, your immediate supervisor, a senior executive etc. Instructions about the timeline or by when you should send back a signed offer letter. Instructions on what you should do to signify acceptance usually it entails signing and dating the offer letter. Section for your signature and date. Ensure that you return your signed and dated offer letter within the period requested by the company. After you have accepted and returned your offer letter, the next step is to look forward to your start date and aim to make a positive impact in your new role. Improve your interview performance with these great tips on how to prepare for job interviews. Learn what to do before, during and after a job interview. Topics include researching a company before an interview, dressing for interviews, types of interviews, questions to ask, thank you letters, second interviews and much more.